One of the standout booths on the show floor this weekend belonged to the team over at Sumo Digital. 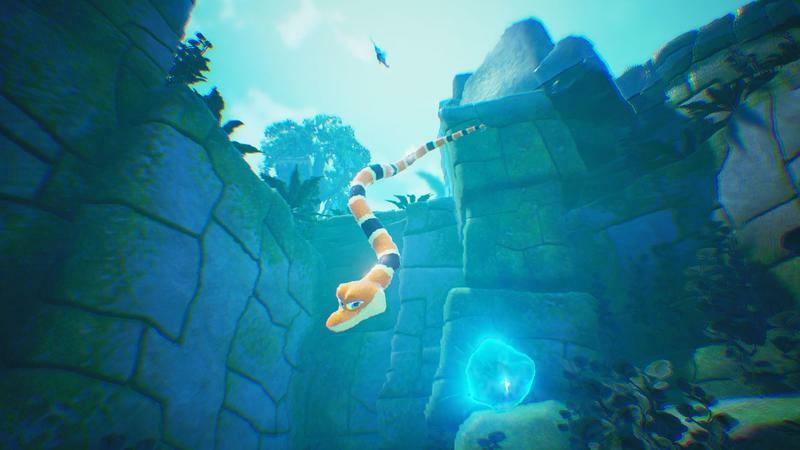 Adorned with palms, cozy bean bag chairs, and inflatable serpents, the developers were all set to show off their upcoming puzzle game, Snake Pass. 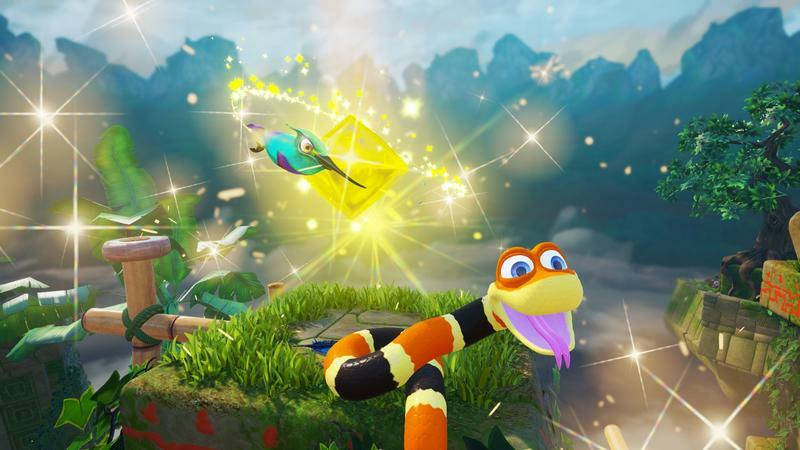 The demo had us playing an early level as Noodle the snake, with trusted hummingbird companion Doodle joining to help. 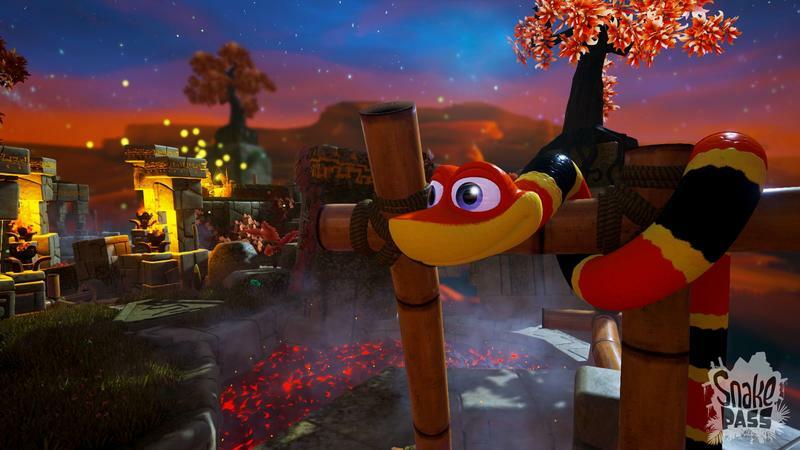 There are 15 levels in total, offering an increasing amount of difficulty, puzzles and secrets to unlock. The immediate goal for the demo is to gather up three missing keystones before moving on. 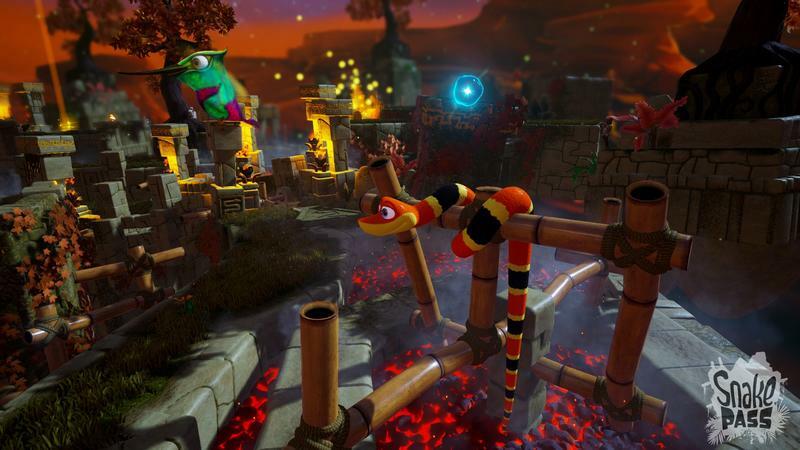 There’s other coins and collectibles along the way, offering up additional challenges as you navigate through the stone ruins packed with a variety of scaffolds and moving obstacles. 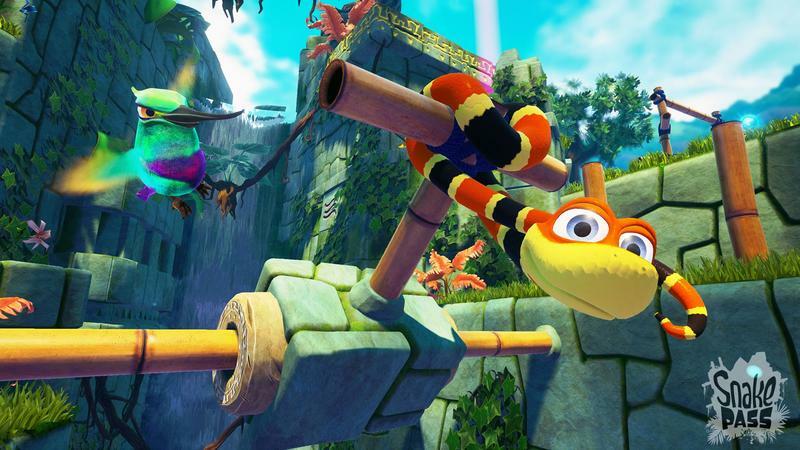 Described to me as “driving a really awkward car,” Sumo Digital’s snake physics are the first challenge to overcome. I was told to “think like a snake,” to help make sense of the left and right motions needed to keep Noodle pressing forward. 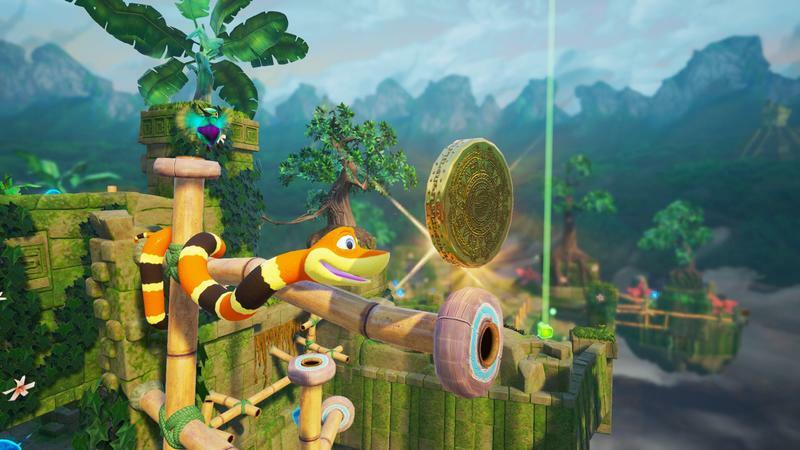 Talking through the control scheme would take too much time to explain here, and wouldn’t get you any closer to knowing how it feels to play Snake Pass. You have to get your hands on the controls for it all to start making sense. 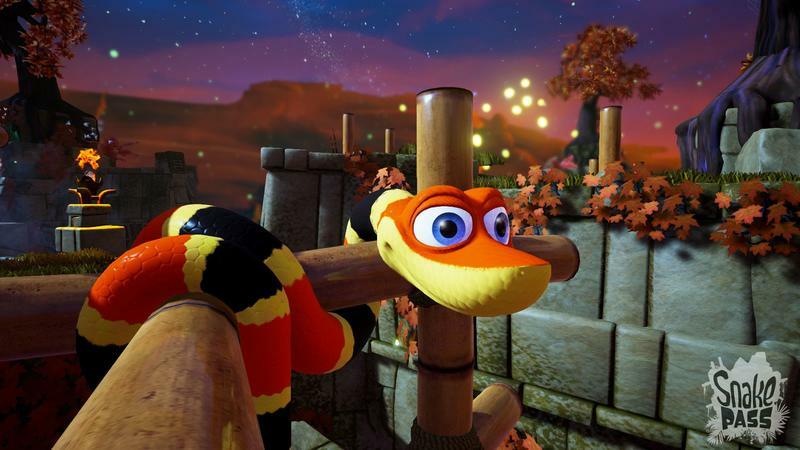 Once it clicks, and you stop having to think so hard about what to press next, it’s rewarding to slither, wrap, and climb around the game world. 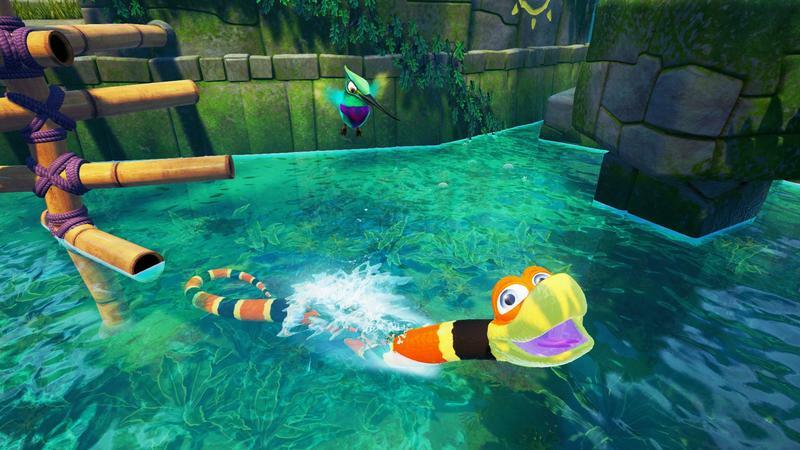 The game’s bright colors and light-hearted themes help remove all initial frustrations with learning to navigate as Noodle. The few times I slipped off the edge of the map, or dropped to the floor after making it within inches of a keystone, were all made better by the goofy expressions and sound effects coming from the main character. Despite the abnormal motions, picking up the basics only took a few minutes. I was curious about just how fast you could get Noodle moving, so I passed the controller over to Dan, one of the game’s designers. He showed off some quickly executed barrel rolls, which made me realize how much more I had to learn. 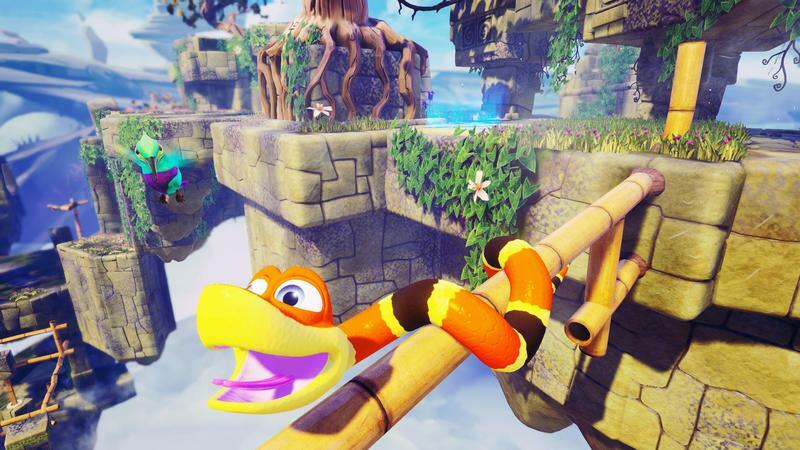 You can see Joey’s article for more on how to play Snake Pass as shown off by the developers. 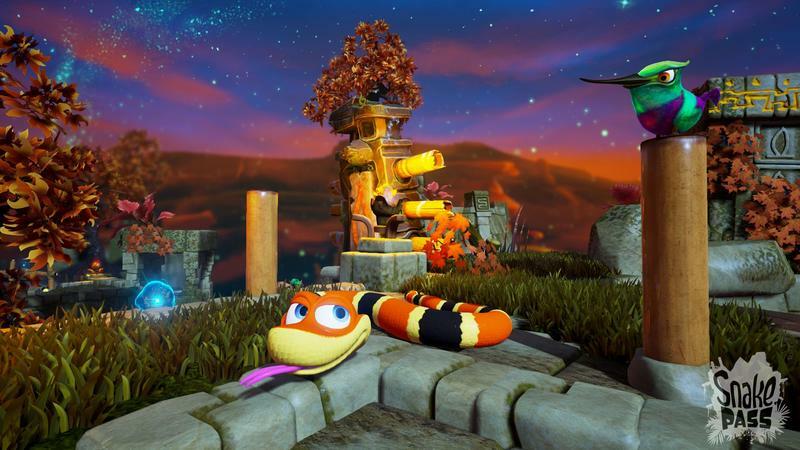 Between the speed runs and collectables in Snake Pass, there’s something for everyone. If you want to take your time and uncover every item or reveal every secret, go for it. There’s nothing stopping you from working at your own pace. I fall somewhere between wanting to explore every nook and feeling taunted by other player’s timed runs. Luckily, there’s not long to wait to get the full experience. 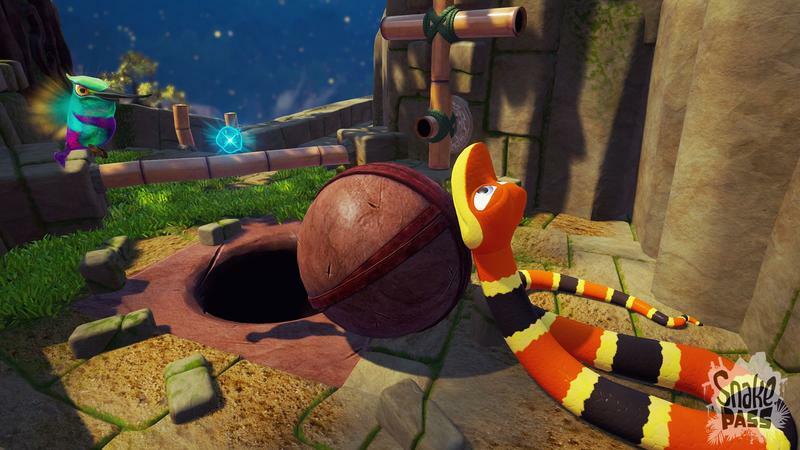 Snake Pass is available on March 28th for $19.99 and releasing on PC, Nintendo Switch, PlayStation 4, and Xbox One.